I've always been told that I am very prolific in whatever I do. I have a lot of excess energy, enough to bottle and sell. Perhaps this explains that when I cook, I can never make one or two things in small quantities. Rather, I have a compulsion to make large amounts of food or a variety of different things and I don't space it out. I suppose this would be idealy suited to having a large family, provided that my future children were willing to eat things like braised oxtail, tamirand chutney, and beer bread. Probably not so likely. The other thing about this prolific quality I have (some might refer to it as obsessive, perhaps intense, or maybe just hyper, driven and energetic) is that I work extremely quickly. I was always a fast writer, editor and worker, whether it was as a journalist for the newspaper in college or as an attorney. So, I expect it will lead to my being a pretty prolific blogger as well. Beer bread. What is beer bread? Well it is bread made with beer. I had never heard of beer bread until very recently. In fact, I had only so much cooked with beer once, when making a Guinness beef stew after a family trip to Ireland in June, 2007. But the concept of putting beer in bread does make sense. Beer contains large quantities of yeast which is ideal in bread. Plus, depending on the type of beer you use, that would impact the bread itself and perhaps the types of other ingredients that one would add to the bread to complement the flavors in the beer. I'm not such a big beer drinker. I never have been. I tend to drink about half a beer, or one beer if I really like the flavor. I also have this face that I make when drinking some kinds of beer (even if I claim I like the beer). My husband refers to it as my beer face and can tell instantly how much of the beer I will finish based on the face. I should also mention that even if you do not drink, beer makes for an interestingly textured bread that is good with various meat dishes and stews - a hearty kind of bread. The bread itself does not contain any alcohol (all of that is lost when it bakes at a high temperature) so even if you have reasons that you would not drink beer, you can still make beer bread. The basic recipe is very simply. However, I intevented my own recipe here. Beer bread calls for 3 cups of self rising flour, 8 oz of beer (whatever kind you prefer), 1/2 cup of sugar in a buttered or pam-ed bread pan. 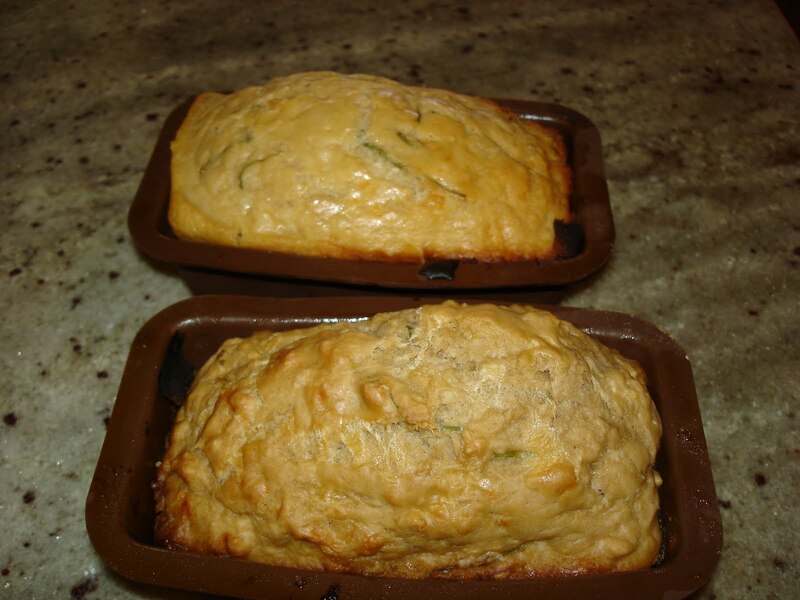 I have four mini bread loaf pans (half loaves) so I cut the recipe in half and made two different kinds. For starters let me explain about the self-rising flour. This is not regular all-purpose flour. You can either buy self-frising flous or make your own. If you are going to make your own, like I did, add 1 1/2 tsp of baking powder and 1/2 tsp salt for each cup of flour you use. As far as the types of beer, I used 8 oz of Post pumpkin ale (Brooklyn Brewery) for half of the beer bread and Guinness for the other half (I had to know what the bread would taste like if I used Guinness). Finally - bake at 375 until the bread is lightly browned and cooked through (check with a fork) Mine was done in about 40 minutes. However, I suspect it could take 1 hour if you use larger loave pans. It turned out great. A somewhat tough and chewy bread which, as I expected, rose beautifully in the pans. The pumpkin and guiness flavors were evident as the bread took on the essence of the flavors in the beer. The cheese definately added some nice flavor and texture as well. I would not use this bread to make french toast or a turkey sandwich, but it is perfect snack bread, and would taste excellent as a complement to various meats, braises, stews and even soups. I plan to have some with the braised oxtail which is still in the oven.